As skin ages, it loses energy and becomes less responsive to anti-aging ingredients, resulting in dryness, wrinkles, and sagging skin. 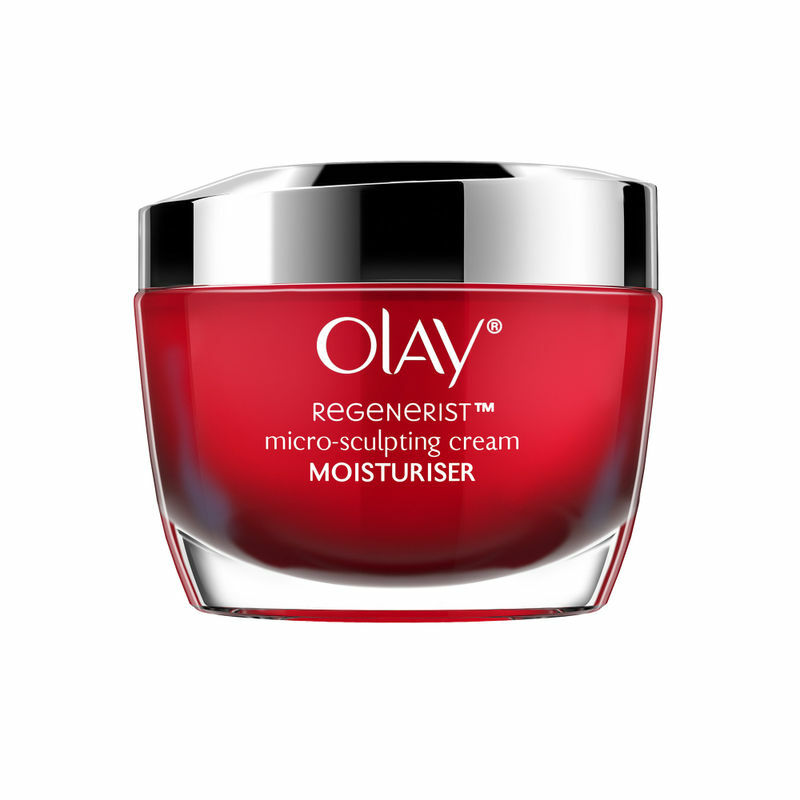 The Olay Regenerist advanced anti-ageing micro sculpting cream moisturizer SPF 30 combines proven anti-ageing technology and SPF protection with a revolutionary and surprisingly lightweight feel. Its proven Regenerist technology works to re-energise skin-surface cells for a more youthful look, helping firm skin that has lost elasticity from skin damage.Infused with Hyaluronic Acid, Amino-Peptides and Niacinamide (Vitamin B3), this Moisture-Binding Formula Instantly Plumps & Lifts Surface Cells. The luxurious-feeling moisturizer immediately leaves skin hydrated, softens the look of fine lines and wrinkles and firms the look of skin with plumping hydration, to help take years off your skin age. Regenerist is Olay's Advanced Anti-Aging Skin Care Collection. Micro-Sculpting Face Moisturizer Formula is designed with Advanced Anti-Aging ingredients for visible wrinkle results starting day 1. Regenerist Micro-Sculpting Cream reveals younger-looking skin with its unique formula, with an advanced Amino-Peptide Complex and hyaluronic acid that penetrates deep into skin's surface to visibly reduce the appearance of wrinkles fast.Olay Regenerist's formula is designed to deliver moisturizing ingredients 10 layers deep into the skin's surface to reveal younger-looking skin. Explore the entire range of Face Moisturizer & Day Cream available on Nykaa. Shop more Olay products here.You can browse through the complete world of Olay Face Moisturizer & Day Cream .